A fortuitous meeting at the Fisheries Museum in Anstruther led to a very quick decision to visit Dunollie Castle and the Hope MacDougall Collection in Oban. Catherine Gillies, long term manager, keeper and general champion of the Hope MacDougall Collection, happened to be delivering a basket back to the Fisheries Museum on a day I was visiting their archive. Since I had been struggling to contact this collection, Linda Fitzpatrick, the Fisheries curator, kindly introduced me to Catherine, a very dynamic and hospitable person, who generously agreed to host us on 2nd July. On Sunday we headed off for Oban, and found Dunollie, home of Clan MacDougall, free of visitors on Monday morning. 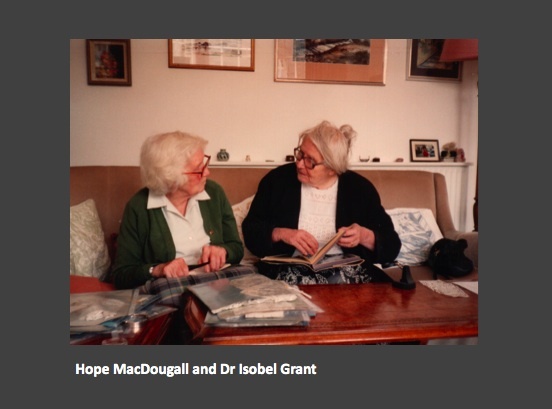 A ‘women of certain means’, Hope MacDougall was ‘daughter, sister and aunt of successive MacDougall Clan Chiefs’, and had devoted her life to collecting and documenting artefacts and information which conveyed a way of life that was close to passing. 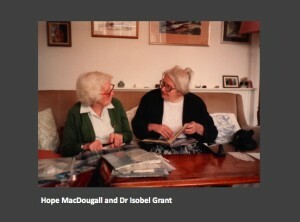 In this, she followed in the footsteps of Isobel Grant (founder of the Highland Folk Museum and her mentor), Alexander Fenton (of the Scottish Life Archive), and Professor Hugh Cheape, now at UHI. Thus, her vast collection was based on a wide range of vernacular uses and practices. She did not focus on baskets in particular, her interest was broad and her concern was more domestic than aesthetic. 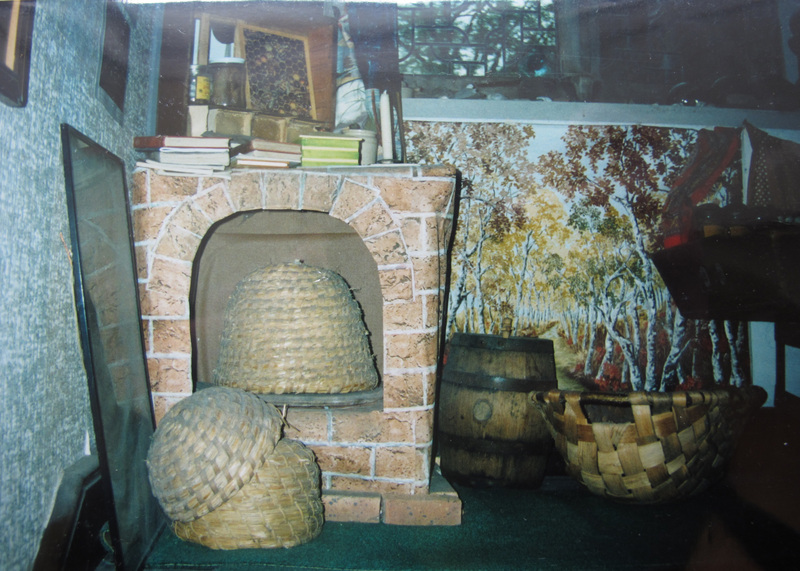 Baskets did however make up a huge element of her collection, and ironically she not only collected them but also used them, so along with those baskets in store was also the collection of ‘house baskets’, which had simply been a part of her daily existence, as well as all the baskets she had used in her travels. Two days was barely enough to do this wonderful collection justice. 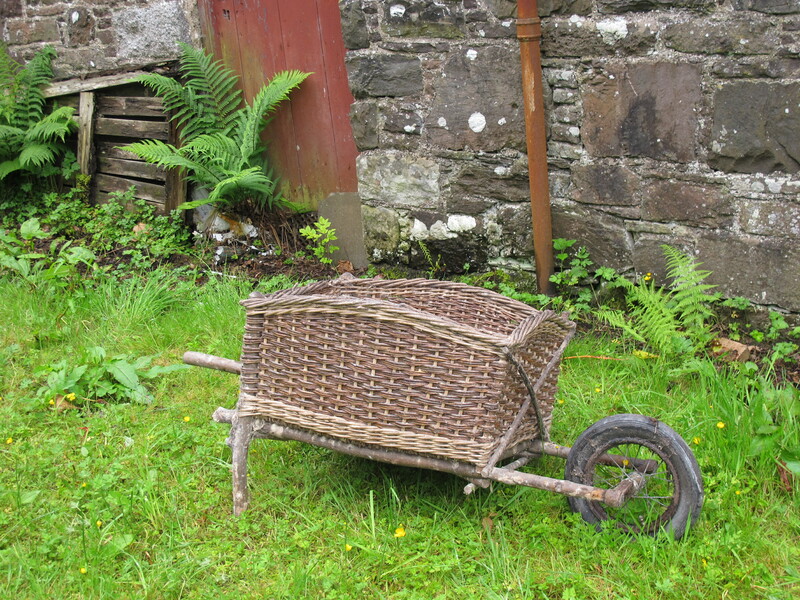 There were flower baskets, lobster pots, wine delivery baskets complete with old orders, cane shoe trees, a mystery basket which turned out (thanks to information provided at the Symposium) to be from Spain, and even a basketry wheel barrow. There were also old photos and drawings which showed how the artefacts would be set in context. Beekeeping equipment at the Hope MacDougall.